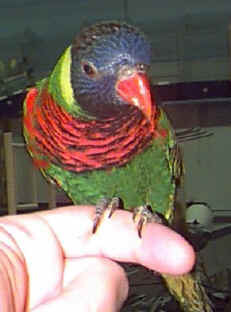 Lorikeets can be very good talkers and are known for having super personalities. Lories and lorikeets are very playful birds. They love to play with people, toys, and whatever else they can get their "beaks" onto! Lorikeets like to be very active and love to perform lots of antics, from just showing off in general to swinging upside down on bars, perches and swings.